Jo Kramer and oldest daughter, Kelli Kramer, spend many weekends together while the men in their lives are busy farming. During these weekend hang out sessions, they are busy creating quilts, cooking, visiting quilt shops, canning, crafting, gardening and laughing at the antics of their beagle dogs, Ruby and Puppycat. During their weekend play dates, the two started creating quilts together, with Jo doing much of the design work and Kelli writing patterns. 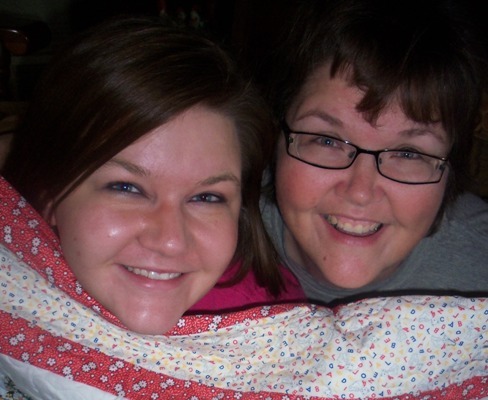 Jo and Kelli are avid bloggers who adds new blog posts daily often featuring quilting projects, tutorials, book reviews and recipes. You can read about the adventures of Jo and Kelli on their blog, joscountryjunction.com. Non of the links to jos country junction will load.. It says they don't exist?? Hi sylsip122 - Tested out the links on our end and they appear to be working at this time. If you are still having issues, you can try clearing your cache and cookies and/or using a different browser.